A taste of animago at MD.H Munich – meet Liza Nechaeva! 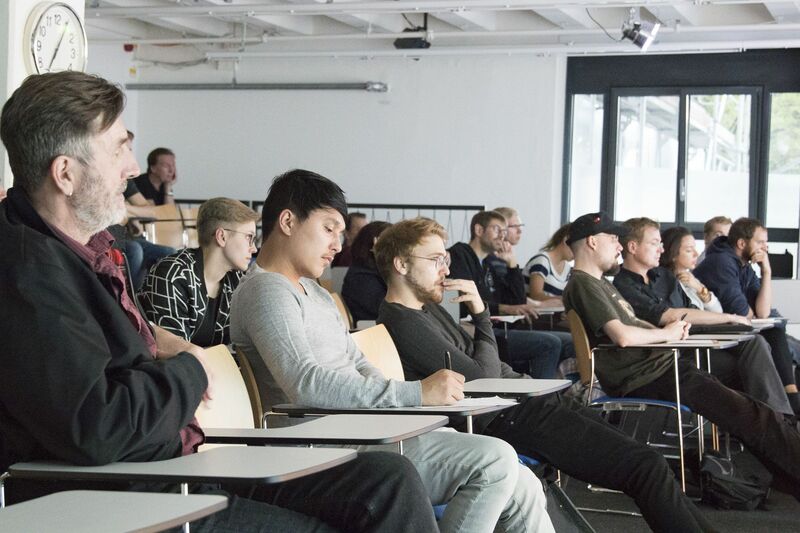 Animators, film technicians and digital creatives gather in Munich for 2 days each year- visiting the highly ranked industry convention „animago –AWARD&CONFERENCE“, which takes place once a year. It is this special industry get-together that allowed us to host two very special guests as speakers at MD.H Munich on September 6th. 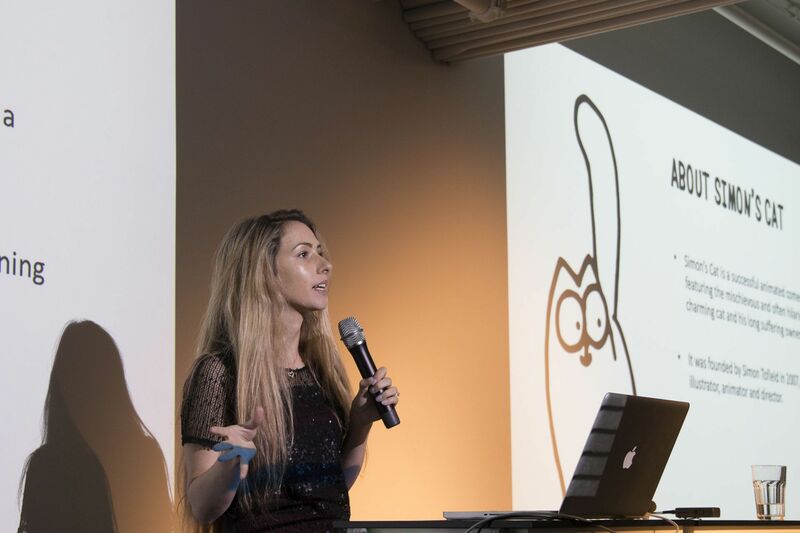 As second speaker of the evening, Liza Nechaeva, art director at the indie production company „Simon´s cat“, hopped on a plane from London to visit us the night before animago. 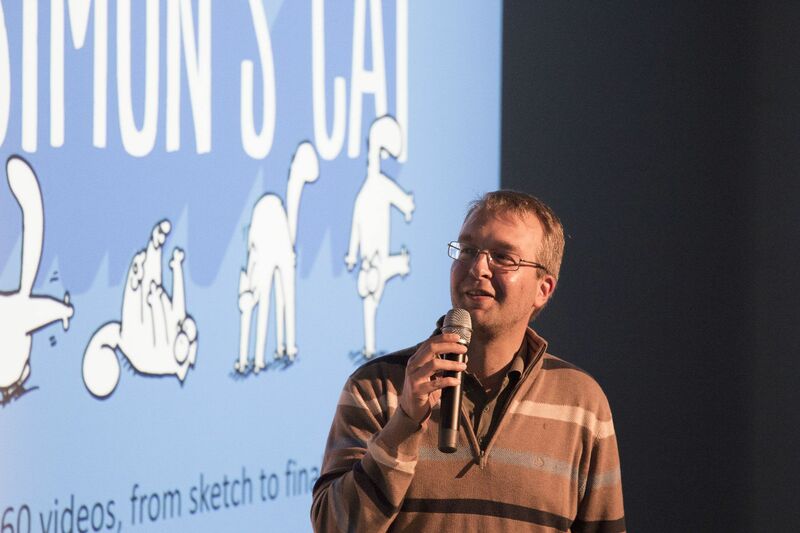 All eyes were on Liza Nechaeva, as she took the audience on a journey into the production process of Simon´s Cat. Liza, who had studied Graphic Design and Illustration at Saint Martin College in London, works as art director at Simon´s Cat. The successful YouTube video series was founded in 2007 by Simon Tofield, a renowned illustrator, who owns plenty of cats himself, allowing him to humorously cartoon the ambiguous attitudes of this much loved animal. Simon´s Cat is intended to resemble everybody´s cat which probably is the secret behind the series´ success among cat owners and cartoon fans across the globe, as it enables all of them to relate to Simon. The first ever episode has had 59 mio. views worldwide so far! 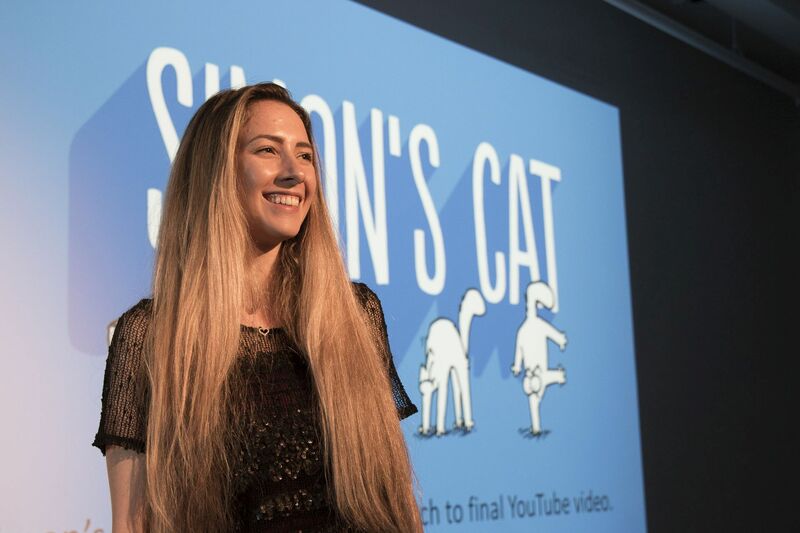 Liza, who is a very energetic young artist, has recently taken Simon´s cat to the next level by convincing her team to give it a try at 360 ° interactive videos. She has visited workshops and has soon learned the skills to produce a VR video by using programs such as Premiere Pro, Photoshop, TV Paint and After Effects on her Cintiq 22 HD. Liza showed us her step by step instructions on how to put together a video from its initial sketch to a final VR video. She showed us how to convert a straight drawing into a 3D compatible version by applying the „ warp“ function in Photoshop. „Once your video has been tweaked and polished, you can easily upload it to youtube, simply by adding Metadata via Metadata injector provided by YouTube itself.“ stated Liza. Yet what seems so easy requires a lot of love of detail and a well-functioning team. A two minute movie may take up to 12 weeks of production time and a lot of creativity as well. At the end of Lizas talk, we were granted a special treat: Liza had brought an 11 minute coloured episode of Simon´s cat that is yet unreleased. This lovely comedy set the perfect ending to a fascinating expert night! We would like to thank Liza for inviting us to build a youtube video with her and making us fall in love with Simon´s Cat all over again! After taking the time to share her inspiring work with the audience at the MD.H Munich we trust she will enjoy her days at animago and hope she will come to visit us again in the future.